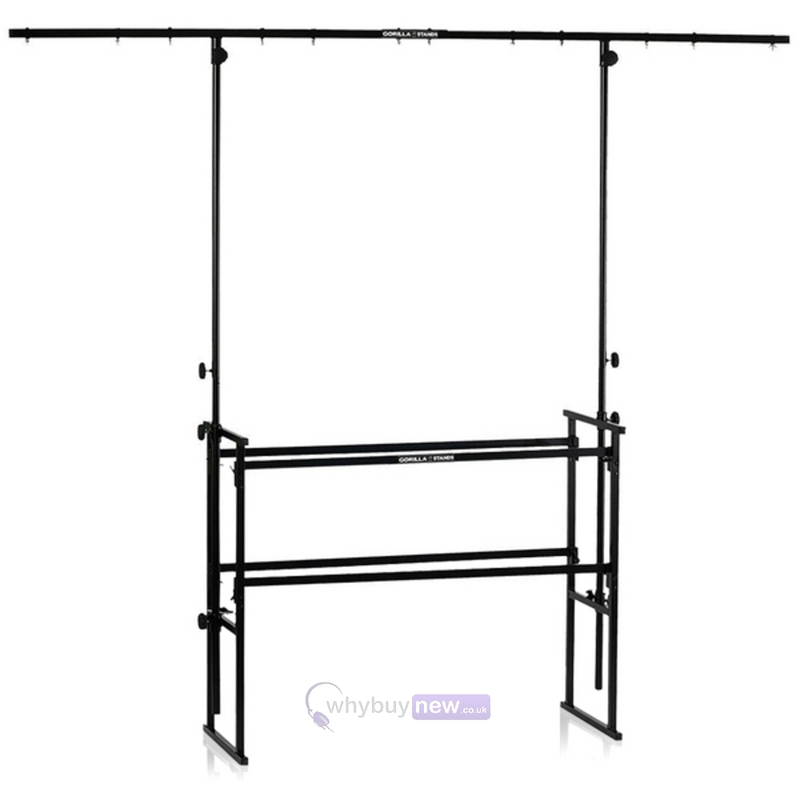 This popular great looking DJ Booth kit comprises of a Gorilla GDS-4 4ft Disco Stand, the complete Gorilla black scrim cloth kit and a stand shelf. This kit is ready to go, disassembles quickly and gives a professional image to your disco, hiding all your equipment cables etc. The Gorilla GDS4 4ft (4ft wide DJ table section) complete disco stand rig is the most affordable complete solution for the mobile dj and comes complete with everything to get you on the road, it's easy and quick to assemble and easily fits into just about any vehicle, The cross-bars are 4ft wide to accommodate most flight cases etc and comes with all bolt and wing nuts to put up your lighting effects. 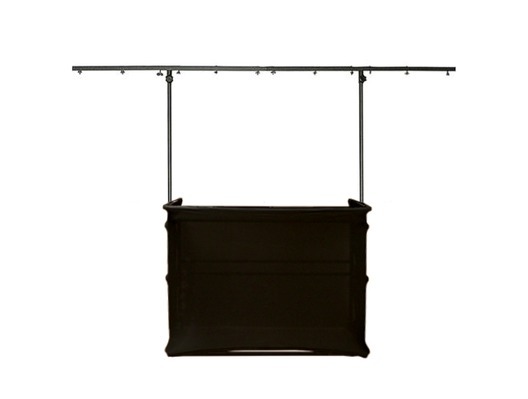 This superb stand is at a very good price so get your hands on them while they are in stock !! Gorilla Stands GS4CS is a high-quality carpeted shelf to fit 4-ff disco stands ( Gorilla GDT-4 Stand shown in image not included) . 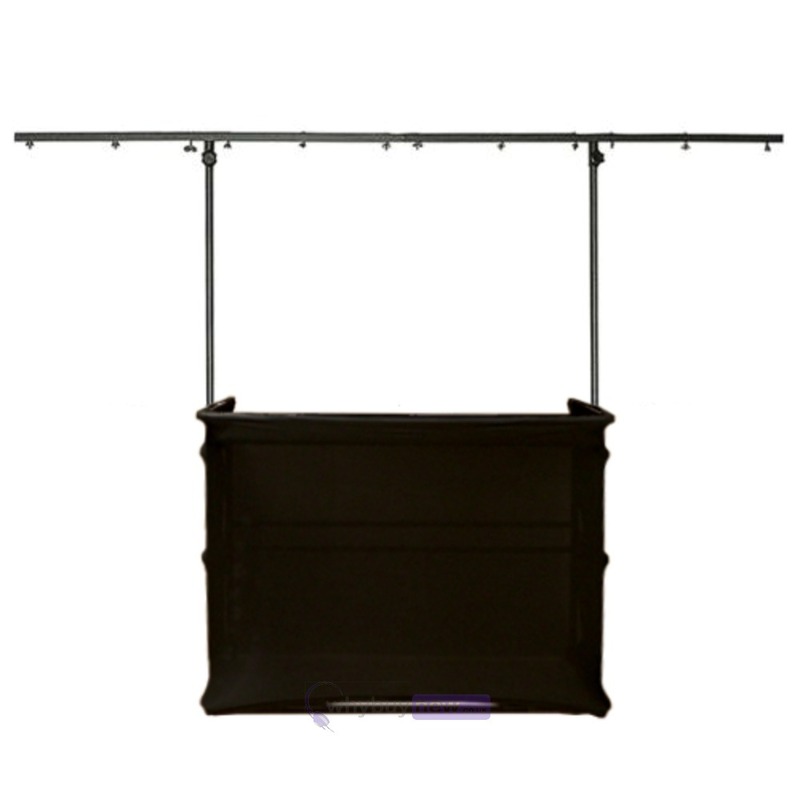 This universal-fit shelf is suitable for all the most popular 4-foot stands including Prolight Stan 12, ADJ MTS4 and Ultimax models. 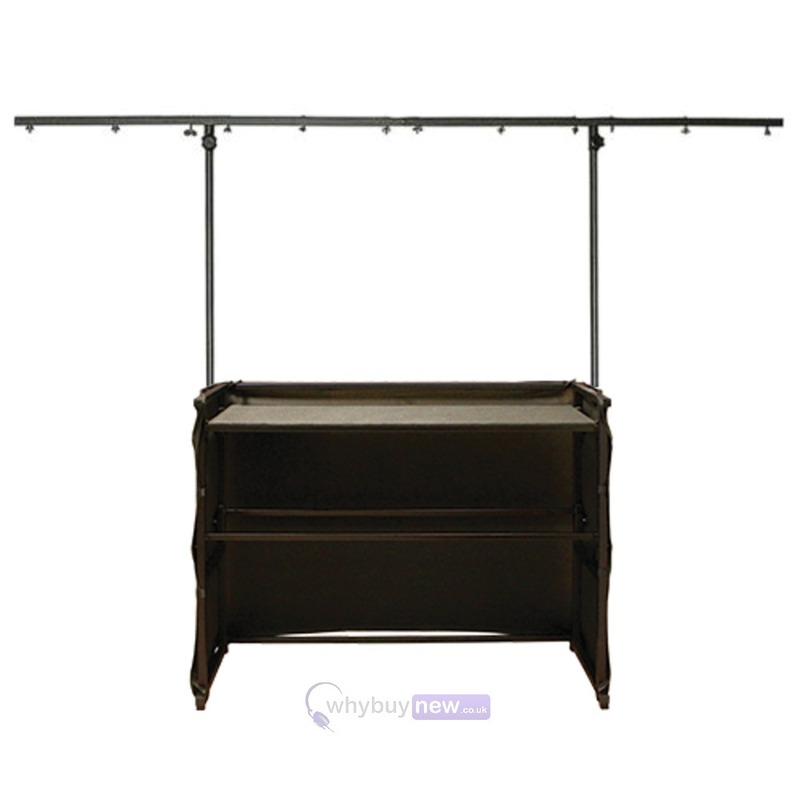 Gorilla's 4 foot disco shelf features a sturdy wooden construction and professional, hard-wearing carpet covering. This quality carpet finish stand has a 'grippy' surface which ensures the stability of your equipment while mixing. These superb shelves combine professional style and finish with robust reliability and the lowest price around.